 Last week I mentioned that there are some changes coming to Michael David Photography. Some are going to be significant changes that will impact you as my customer and some will be small tweaks to what we do. The reason for these changes is simple: I want to take the overall experience from awesome to amazing. It’s always been my goal to create a lighthearted, fun and simplistic approach to the customer experience. This approach has been great over the past 11 years and has served me, and more importantly my clients, very well. But I want to take the experience deeper. I will be adding products that speak well to a new generation of brides and grooms. I’m really excited to introduce my new Peerless Albums. Each album is 100 percent handmade in the USA. They come with a lifetime warranty, and are extremely customizable. How customizable, you ask? There are many cover options, from leather or wood to metal and even acrylic. You can even use your own leather to give it even more of a one-of-a-kind look. The leather is rich, premium top-grade leather and each page has a coating to protect against accidental spills. There are 11 different sizes, and four different kinds of paper, giving you options on the perfect finish to fit your personality and style. Each album also comes with a gorgeous maple box to protect the album from the elements. I’m extremely proud of these albums and I am thrilled to share them with you. Here's to changes in 2017. Stay tuned for more announcements to come.